INTRO Being in Business and still being "Scripted", it's possible! Discussion in 'Forum Introductions (Who are you!?)' started by PRO2018, Mar 28, 2018. I've been lurking for a few months and thought it's about time I introduced myself. I've been running businesses from the time I graduated except for a 12 month stint in a job just after graduation to learn the ropes of a business that I wanted to get into. During my school and university days, most of my free time was spent helping my businessman dad for some pocket money so I had constant exposure to a business environment and helped me develop a business mindset. After running my business for a few years, I was doing OK, I was able to pay my bills, pay my mortgage and make other small investments. I also spent a lot of time helping family members who needed my help at the time. I'm proud of the fact that I could make a difference in their lives and change their lives forever for the better. There's no better feeling and the satisfaction that comes with it, when you positively affect another human beings life. This is the time I realised why people become philanthropic when they have amassed enough wealth that they perhaps do not know what else to do with. Anyway, as my business grew I struggled with scale as I was dependant on human resource systems and also had family that kept me busy and time got away. Recently I started assessing my situation and clearly my net worth was not growing fast enough. My days were busy and I was running a business making more than what I would have in a job, but yet, my net worth was not growing fast enough.When I mapped my trajectory, I would not reach my wealth goal if I stayed the course. Why is all my hard work not paying off like the way it should have? Being in business and coupled with hard work should have gotten me closer to my goal, I thought.Something needs to change! But more importantly something does not seem right.I had to find out what. 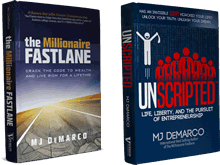 In my quest to find out what the hell was happening, I started reading, internet articles, various books and one day I stumbled across The Millionaire Fastlane and then Unscripted. I read both these books and thought, Holy Shi*t! So this is what is happening to me. I am caught up in the damn "Script"! Even though I was running my own business and I was the so called "Boss"! I realised that what I needed more than a Business mindset is an "Unscripted" mindset. And more importantly, that it's not that I needed a "paradigm shift", but to realise the "Paradigm is Sh*t", my favourite phrase from the books. A big shout-out to @MJ DeMarco for illustrating these concepts so eloquently in his two books. And thanks to all you guys who share information so generously here on the forum. I hope to do my bit one day. Its abundantly clear to me now that I need to re-draw my road map, change course and hit the road in a new direction. I look forward to joining you all in this journey. Nannan, ZCP, Magneto C and 5 others like this. @PRO2018 Welcome! Thanks for sharing your story. It is absolutely possible to live a scripted existence and be the boss! My whole life changed once I realized this, and to be honest even after committing to living an unscripted existence, I still get tempted by the script! Its a challenge alright, but once your eyes open to this we have to find a way to break free. There is no turning back! Just make it happen!! What is your plan going forward? I'm new too! Good to have you and I wish you luck. Hope you're encouraged and learn what you need to learn to take your ideas to the next level! Thanks @drumworx, welcome to you too. Yes, its great to be part of a community like this. Very exited to forge this new path and at the same time its quite daunting. But I'm all charged and ready to take the next steps. Good luck to you too! Let's make our own luck!! Step 4: Create a new business that fulfils the CENTS commandments. I have a few ideas brewing, which I will need to refine and execute. I'm not sure about the exact steps here as it will depend on the business I choose to pursue, but I will worry about it when I get closer to this stage. 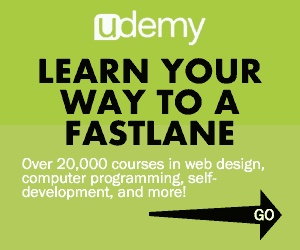 You have the experience of running a business successfully and now you're going to do it in Fastlane mode. eCommerce has created tons of millionaires. It's also created tons of failures. I am confident you'll be in the top 10% millionaires club of eCommerce, as long as you follow the Fastlane principles. Especially combined with your existing experience. I'd love to see your progress thread. I've made one as you have seen and it really is like a public journal that keeps you accountable! jcvlds and PRO2018 like this. Start with step 2. Use your knowledge and new mindset to revise your current business. Systems, procedures, automation. Read EMyth Revisited. Then use that as the cash cow to fund other businesses. Roll what you learn from all into each. Create sellable assets to buy your money system. jcvlds, PRO2018, Kingmaker and 1 other person like this. Have read that book, but will need to re-read. It feels just as liberating as intimidating, thinking about the mountain that needs to be scaled to get to where we all want to get. We now know that the direction is right, and we now need the fortitude to fight all the multitude of battles along the way to reach the summit. It's some task alright! Wish you the best on your journey too.